Ever notice that your dog just knows when you’ve had a bad day? You’re not just projecting. Dogs can tell the difference between happy and angry human faces, a new study finds. 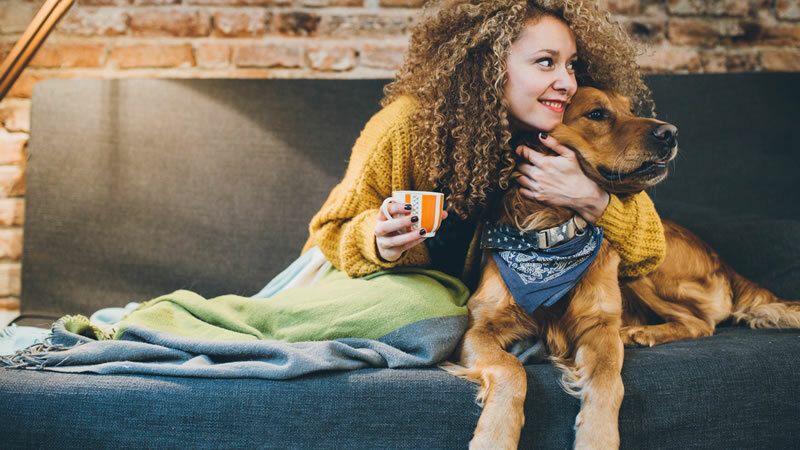 A study published in the journal Current Biology found that dogs can learn to recognize emotional expressions in humans, and apply that knowledge when they meet new people. Researchers at the University of Veterinary Medicine in Vienna trained a group of dogs to discriminate between photos of a person making a happy face and an angry face; they were only shown the upper or lower part of the face at any given time. Mic reports that some of the dogs got treats when they picked out a happy face, and some of the dogs got treats when they picked out an angry face. After the training, the researchers repeated the trial, but with different twists. The trials included photos of new people with the same half of the face shown, the same faces as before but the other halves of the faces, the left half of the faces used during training, and the other half of brand-new faces. In all four conditions, the dogs performed significantly better than chance, which shows they can learn to identify facial expressions and use what they’ve learned in other settings. And the dogs may have had an idea of what “happy” and “angry” meant, too. Dogs who had to identify the happy faces learned faster than the dogs who had to pick out angry faces; this might be because dogs know to stay away from people when they look angry. “It appears likely to us that the dogs associate a smiling face with a positive meaning and an angry facial expression with a negative meaning,” senior author Ludwig Huber said in a press release. So next time you want your dog to listen to you, just give her a big smile.